We arrived in Sydney hungry, and decided that our first stop should be the much-lauded Gumshara Ramen. With a reputation for a rich, creamy tonkotsu broth, it seemed just the thing to fill our empty bellies. While most ramen shops are standalone stores, Gumshara Ramen is an unassuming-looking stall in a food court in the Chinatown area of Haymarket. Being there at an off-regular mealtime hour, there wasn’t even a crowd of people to indicate to us where it was once we found our way into Eating World Food Court (such a promising name). 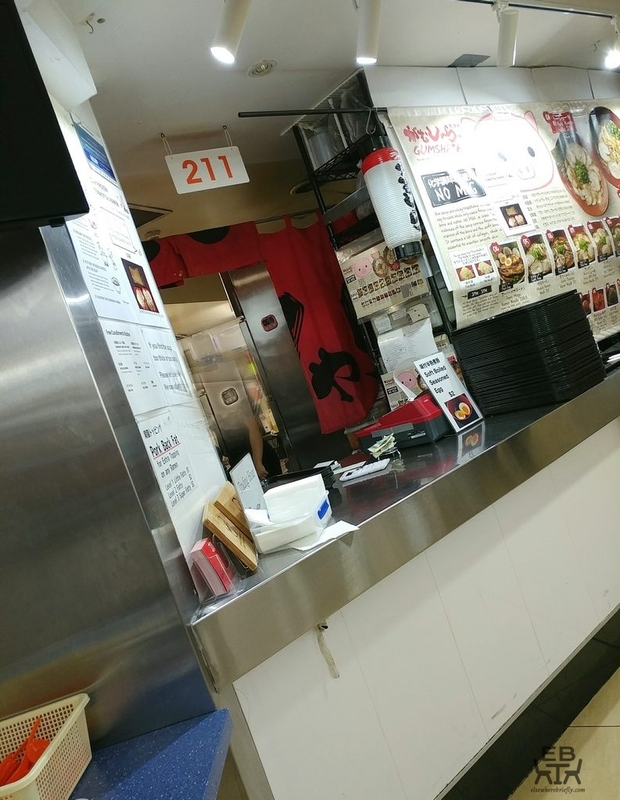 We eventually located it at one corner of the food court, the poster at the front of the stall acting as a visual display of their ramen options indicating to us that that was the place. 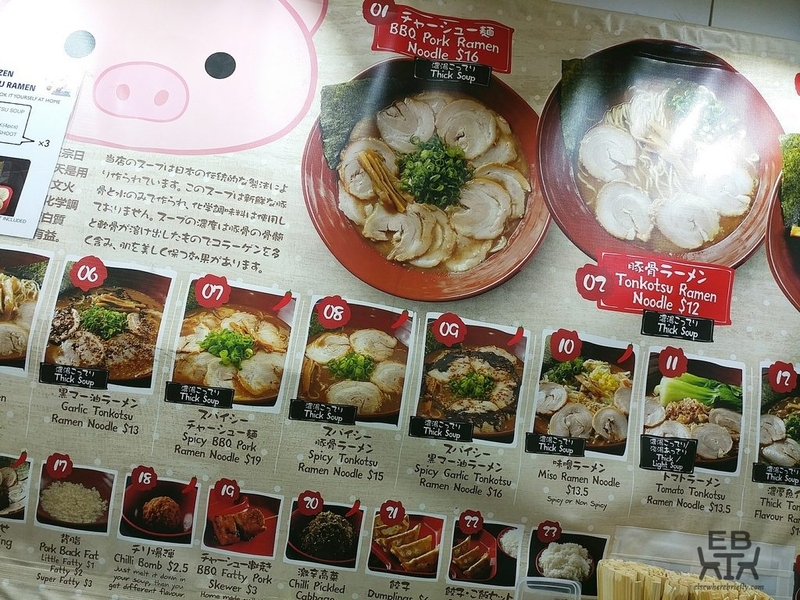 The poster at the front of the stall, displaying the different ramen you can have. 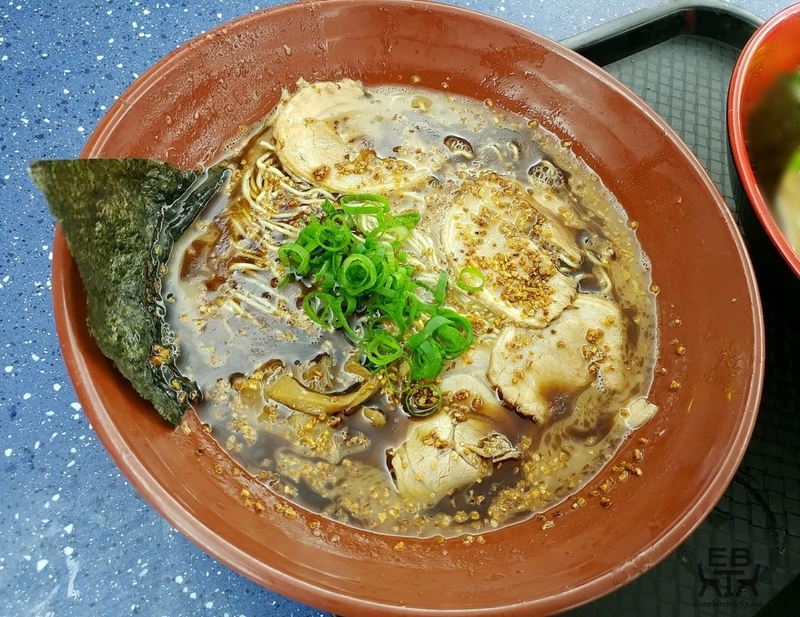 Gumshara Ramen has quite the range of ramen, with twists to their tonkotsu ramen like spicy garlic tonkotsu ramen, and tomato tonkotsu ramen. 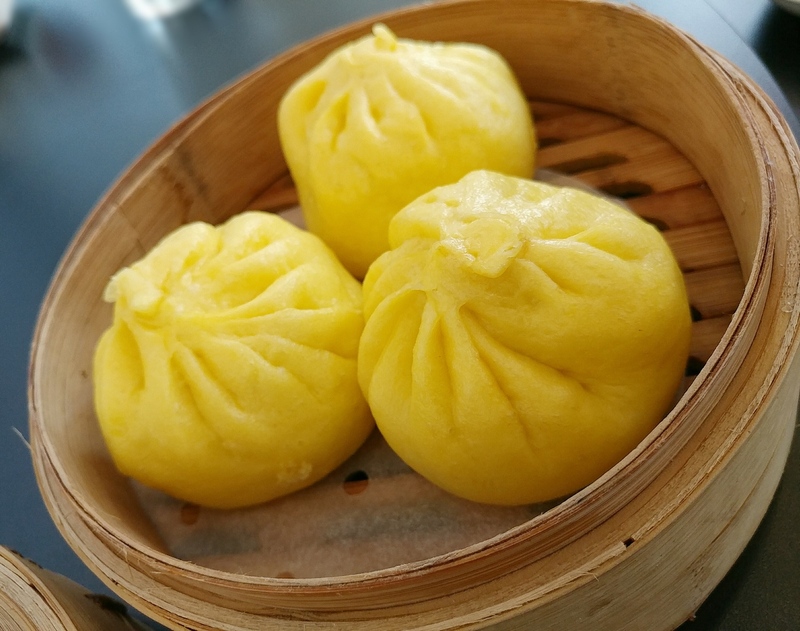 Most of the ramen bowls do not come with an egg, but you can add that on to your order, as well as other things like a chilli bomb or pork back fat. For the extra hungry, they also have a Super Mega Ramen Noodle, which comes with a pork spare rib, BBQ pork slices, a pork skewer, and an egg. You place your order at the counter, and are given a paper ticket with your order number (how old school!). It is cash only, so come prepared. 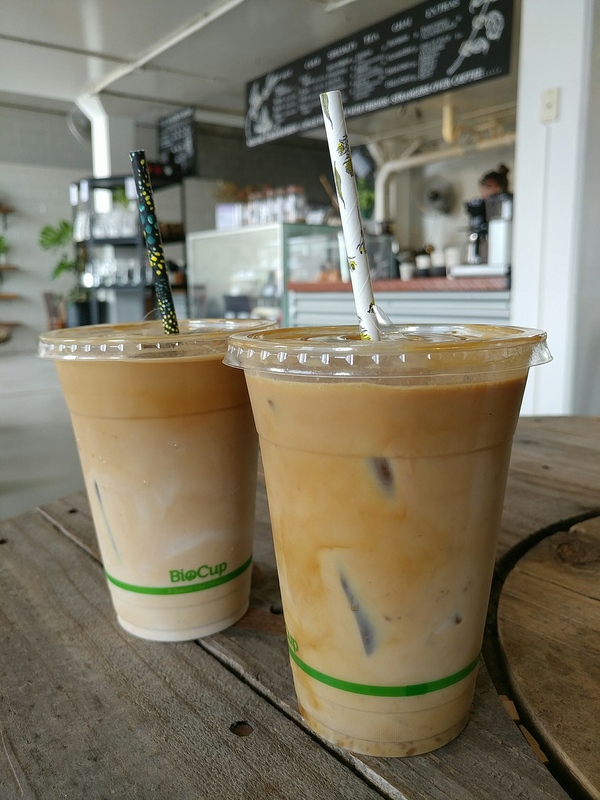 You can sit anywhere in the food court, but it makes sense to sit within earshot so that you don’t miss it when they call your order (although this may be easier said that done at busy mealtime hours). The counter. It doesn’t look like much, but a lot of deliciousness goes across it. You can just get a glimpse of the kitchen if you peer past it. We ordered the Garlic Tonkotsu Ramen Noodles and the Pork Spare Rib Ramen Noodles, both with thick soup, and tempted by the picture of their eggs, ordered one of those as well. When it was our turn to go up and collect our items, the large bowls just fit onto the hawker-style plastic tray. 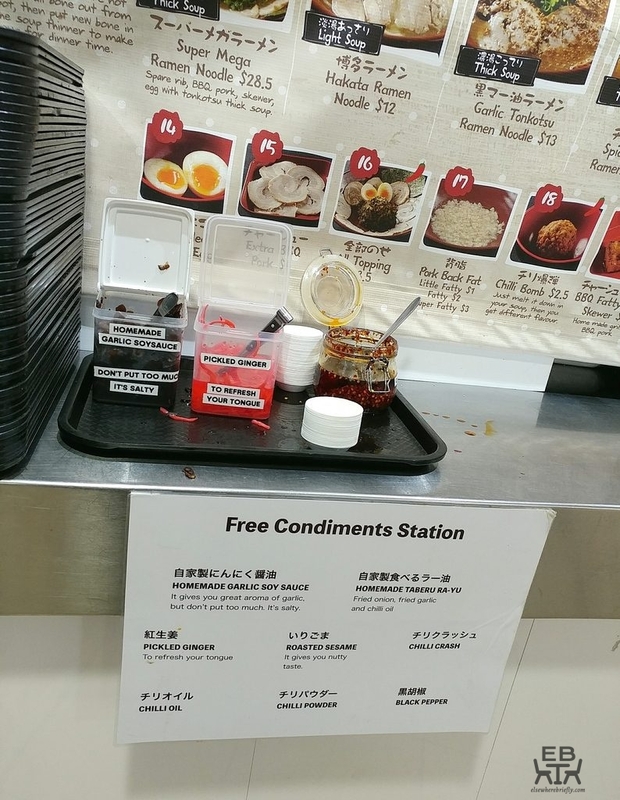 We added a little container of the homemade Taberu ra-yu from the free condiments station at the counter, explained on the sign as a mix of fried onion, fried garlic, and chilli oil, and walked the full tray with care back to our seat. Fortunately, the soup didn’t go to the brim of the bowls, so there was little risk of it splashing over in the process of travel. The condiments available for you to add to your ramen. The Pork Spare Rib Ramen Noodles came with a large pork rib that just fit across the mouth of the bowl. It didn’t have slices of char siew, but realistically, there was a solid amount of meat on that pork spare rib, and if you could manage to finish that, you wouldn’t really want more. The meat was tender, striped with with melt-in-your-mouth fat, and had a caramelised sweetness. 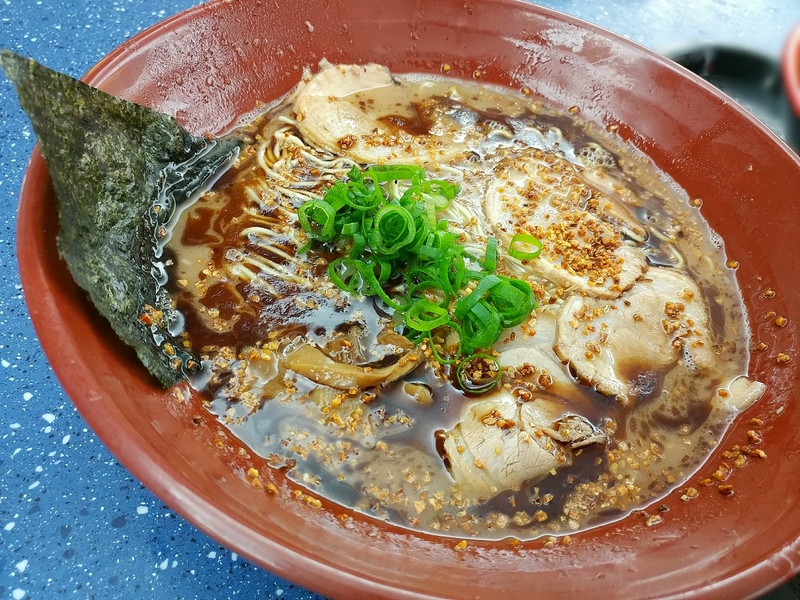 They are not kidding when they call it thick soup, and given that Gumshara Ramen is known for having the thickest tonkotsu broth in Sydney, which also has branches of famous ramen stores like Ippudo Ramen and now Kyoto Gogyo Ramen, they are not pulling their punches. The broth was cloudy and viscous, dense with flavour, a concentrated meaty essence. They cook down about 120kg of pork bones a day to produce their broth, and that richness certainly comes through. There is a sign at the counter that advises patrons that if they find the broth too thick or too salty, they can let the staff know, and they can adjust it. We had it as originally intended though, enjoying the collagen-rich texture. They allow you to choose either thin or thick noodles. We chose the thin noodles, as they are usually better coated with broth. The noodles were springy and had a good chew. As anticipated, they held the broth well, making for tasty mouthfuls. The ramen also came with slices of bamboo shoot, though these were softer and didn’t have the crunch you usually get from the bamboo shoots at other ramen shops. 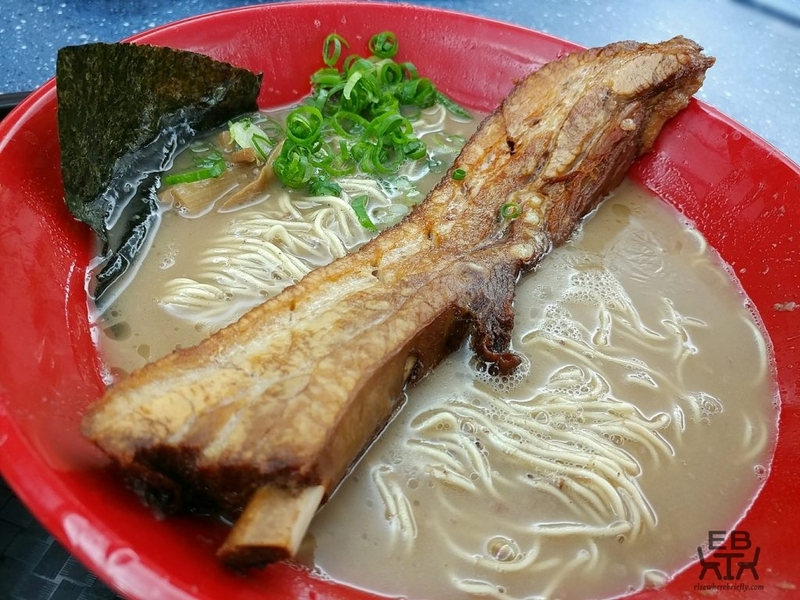 The Pork Spare Rib Ramen, with giant pork spare rib across the top of the bowl. A slightly closer view of that large chunk of spare rib. 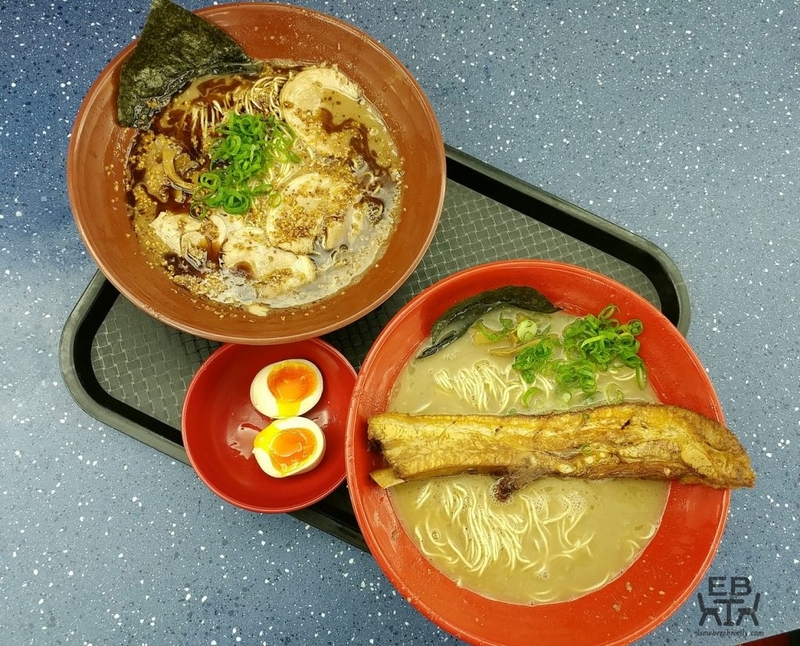 The Garlic Tonkotsu Ramen would definitely be something we would recommend to garlic lovers. If you’re ambivalent about garlic, this may not be for you. 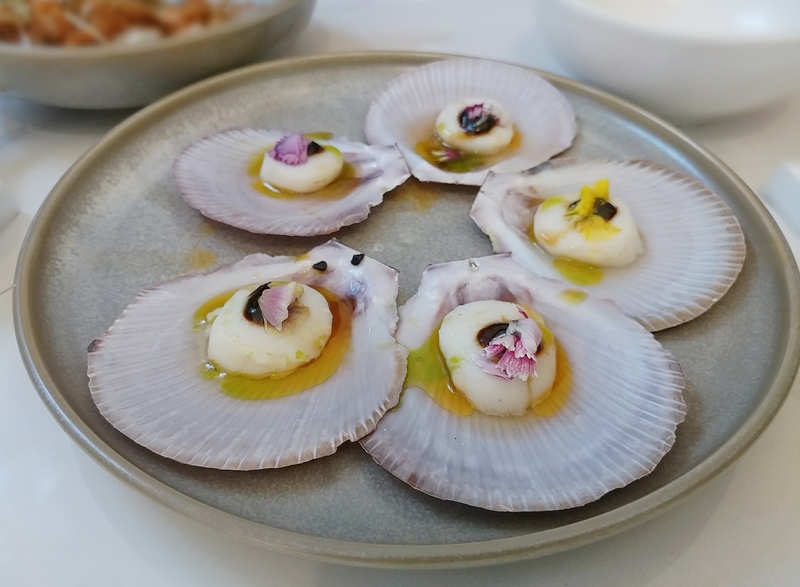 Topped with fried garlic and black garlic oil, it was heavy on the garlic aromas. 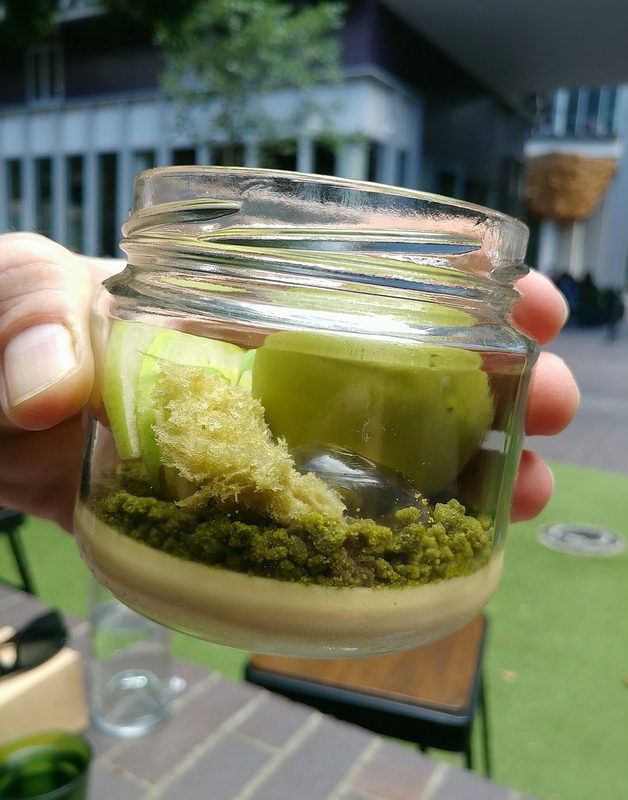 This had even stronger umami flavour than the standard tonkotsu ramen, and after getting about halfway through this, one could actually understand why some might want a more diluted both. (We had previously wondered why you would come to Gumshara Ramen if you didn’t want a punchy, full-flavoured broth.) This ramen came with char siew slices that were cut to about 1mm thick. These were tender, and had meaty, but not gamey flavour. Again, we had thin noodles with this, and the soft bamboo shoot slices. The Garlic Tonkotsu Ramen, topped with fried garlic and drizzled with black garlic oil. The Garlic Tonkotsu Ramen from another angle, ingredients a little less hidden by the reflection of light. The Garlic Tonkotsu Ramen closer again, with sliver-thin pork slices. We ordered the soft boiled seasoned egg to go with them, two halves for $2. 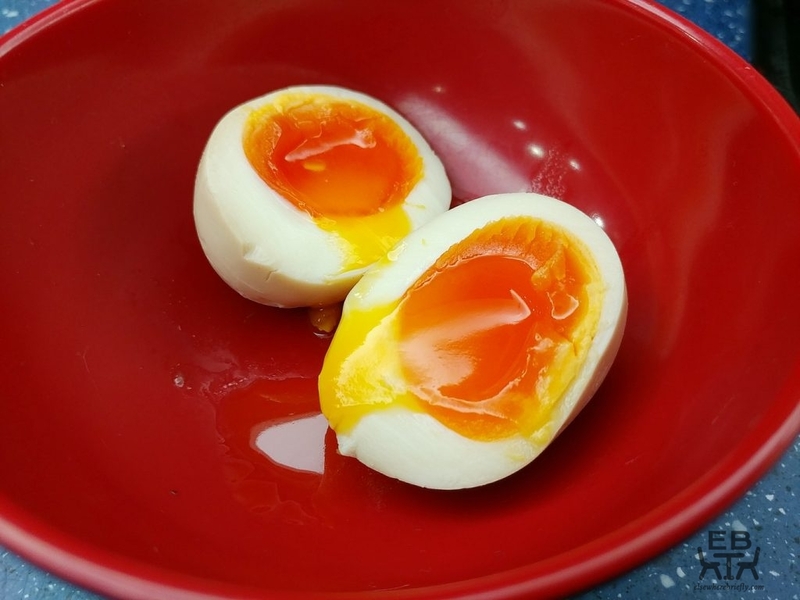 It was a perfectly cooked nitamago egg, with the egg white firm, but the yolk gooey and jelly-like rather than watery. 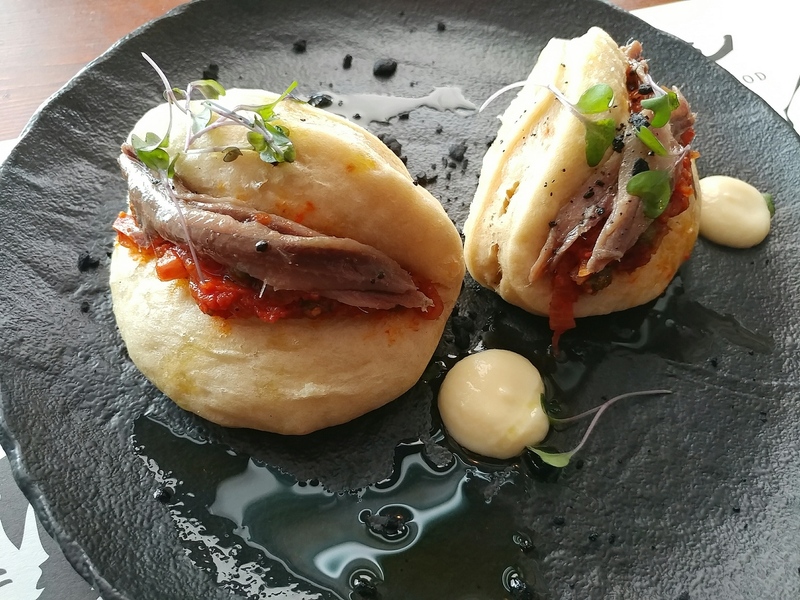 They were not savoury in themselves, but, realistically, given that they were to be eaten with the already flavourful-enough ramen, their main addition was their texture. The egg halves with their beautifully glossy yolks. 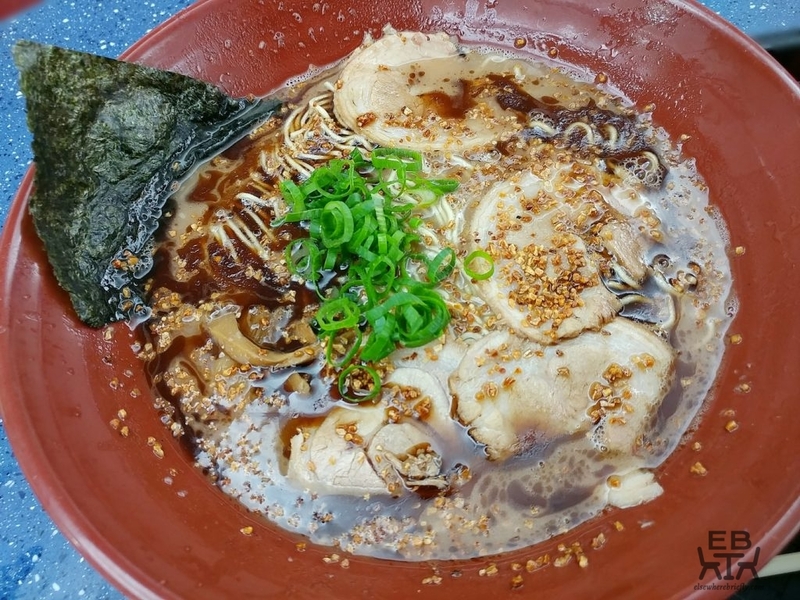 We can certainly see why Gumshara Ramen is as popular as it is. The deliciousness you get for the price is hard to beat. Even though the Pork Spare Rib Ramen Noodles at $17 is not cheap for an every day lunch meal, for the amount of meat you get with it, it is still good value. 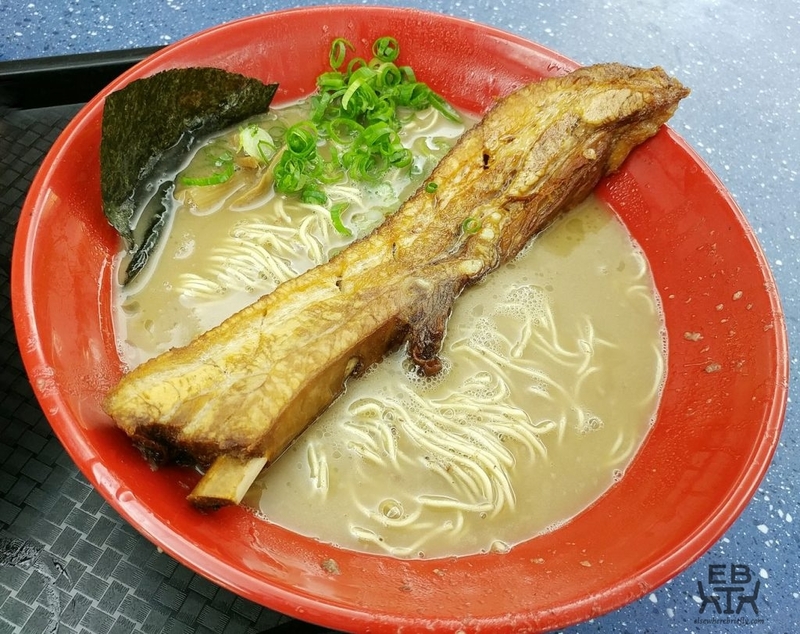 The one issue we found with eating the Pork Spare Rib Ramen Noodles was that attacking the large spare rib with just the chopsticks and spoon as utensils was challenging. It necessitated the use of hands, so be prepared with tissues (or better still wet towelettes) if you are going to order this. The Garlic Tonkotsu Ramen Noodles at $13 is a steal. Gumshara Ramen is definitely worth hunting down if you are a ramen fan and happen to be in Sydney. Be warned though, that between 3pm and 5pm, the thick tonkotsu broth is not available as that is when they clean out their stock pot to make a new broth, and cook what they have down so there is a thick broth for dinner time. In their other feeding hours, you can be sure you will leave with a full tummy and collagen-sticky lips. One more look at the dishes we had.